The reality is the function of recruiting is just that…to recruit. An organization should not expect a recruiter to onboard if their success is measured by recruiting. You need to ensure a smooth transition from Talent Acquisition to the hiring manager and the business. This is Strategic Onboarding. 50% increase in brand loyalty…imagine having your employees brag about where they work! Certainly makes recruiting easier! You have a secret weapon in the war for talent. Engaging, nurturing, making advocates of, appropriately activating, retaining, and driving to productivity the talent you’ve already won is a competitive edge that will pay massive dividends. Former recruiters love to tell Hiring Horror stories. We all have ’em. One of my candidates showed up to her in-person interview on time, dressed for success, well-vetted and highly-prepped by yours truly… with a fake baby. In a full-on baby stroller, guys. I don’t offer up these stories flippantly…they make me sound like a terrible recruiter! Nope; I was a great recruiter. Obsessed with connecting amazing talent to incredible opportunity. I’ve hired hundreds of people in my day; thousands if you count the recruitment teams I ran. All at a professional, experienced career level. You just never know. That’s why we put controls in place, and even then people come through our doors and either make it or don’t for all kinds of reasons. I didn’t know where to report for work. They didn’t have a desk/laptop/uniform/you name it ready for me. It’s like they weren’t prepared for me to be there. My hiring manager wasn’t even there on my first day. I spent most of the first week “shadowing”. No real schedule. The culture wasn’t what I expected. I want to start contributing, but I don’t have what I need. I’ve been here for 3 weeks and I still can’t access all of the systems/tools/resources I need to be successful. My team members asked me about my girls and love of racing because they’d been given my family picture and bio before I started. I also got a Slack message from my peer that night: Let me know what you’re missing. I’m here to help you be successful. I’m discussing why this answer matters so very much in my next article. Keeping your employer brand promise up to and through your new hire’s first day of work, creating the right impression during moments that matter, speeding their time to productivity, and protecting and nurturing the experience you would expect your talent to have matter – materially – to your company’s bottom line. P.S. I’m done editing and literally ready to hit publish, so my narrow field of attention broadens and I let the outside world and noise back in. And suddenly can’t help but overhear a women across the empty, mid-day cafeteria where I came to write. She’s hiding in a corner on a discreet phone interview. “I probably wasn’t onboarded properly and should have spoken up sooner, but it’s just not the right fit here. No one did anything wrong, exactly, it’s just not the culture and fit I was expecting.” I’m telling you….this stuff matters. Let’s imagine I’m a chef: I love food, I love plating good food, I love the novelty of fine dining and delivering an experience that goes beyond food. So when I go out to eat, I’m bound to notice all of those things, right? This is where it gets fun. Pulling back the curtain. I’ve worked in Recruiting for 15 years, but I’ve only been a Candidate a handful of times. So when I hit the market, don’t think for a second I wasn’t taking copious notes on how companies (who are in the business of doing the following, mind you) engaged with me. My candidate experience, the courtship process once mutual interest was established, the way you told your story and kept me engaged, how you actually hired me. And, of course, my onboarding. Bad News first because we just need to get this out of the way. We stink. All of us. No one is doing it as well as they could, should, and would like to. Why? Hiring people is not your day job. Your companies are in the business of delivering a product or service. Making that product, delivering solutions to customers, running financial reports, formulating go-to-market strategy, whatever it is. THOSE are your day jobs. Attracting external talent to the organization when growth demands scale or when one of the rank & file is wooed away? That’s the day job of HR, whose other responsibilities include performance management, development and succession planning, annual comp cycles, and employee relations. Perhaps you’re big enough that recruiting IS the single & majority day job of someone on the HR team or within a dedicated Talent Acquisition function. If that’s the case, you’d be one of the lucky few who gets to develop, create and manage a candidate experience that precedes the employee experience. All of this part of Workforce Experience. Sounds like nirvana. Sounds…like a lot of work. So we stink at this; we, who are in the business of treating talent like gold. Click Boarding did the best job I’ve seen in 2 decades, and that’s because THIS is their very specific business. Not everyone gets to make THIS their very specific business. Protecting the candidate-to-employee experience, that is. Facilitating the new hire handoff from HR to the business. The Good News is my finisher. World-class onboarding is easier than you think. Onboarding is NOT form completion and document management and compliance. That’s gravy. Onboarding is delivering the experience you expect your talent to have. The entire workforce experience, from candidate to new hire to highly engaged and productive employee. It takes a tiny bit of software to address moments that matter and efficiently deliver a consistent, world-class experience. See? I love delivering good news. World-class onboarding is easier than you think. I’ll show you. You answered loud & clear: Stop making the software the “work” or the problem or so hard. Design solutions that allow HR to focus on people. Seven years ago, I oversaw one of the largest recruiting software implementations ever attempted for one of the largest retailers in the world. When asked to perform load testing to ensure we could actually support the millions of applications the ATS would need to support on an annual basis, the senior-most engineer at SuccessFactors/SAP told me, “I don’t even know if we can load test for that. We’ve never done it before.” Co-delivering a background check and prescreening solution at the time was Christine Marino. We were in the trenches together for months, stitching our solutions together, bound and determined to bring this customer live and to fulfill the promises made by our respective teams. I’ll never forget Launch Day: sitting around a long war room table sweating bullets, dashing into the hall to make frantic phone calls as the minutes ticked down, shoulder to shoulder with fellow implementation and vendor partners and with the customer implementation team. Annnnd…..LIVE. The boardroom erupted in shouts and laughter and hugs….I believe my client even professed her love for me (OK, and everyone else in the room) that day. Bet you didn’t realize HR software could be THISSSSSS exciting, didja? Several years later, I found myself walking the floor of HR Tech with Patrick Rooney. QUEsocial had just been acquired by Hodes who then announced Symphony Talent, a merger of portfolio companies resulting in an end-to-end suite of talent solutions and services. Almost end-to-end. “What do we need while we’re here?”, I asked Patrick. “Onboarding”, his response. I texted Christine Marino: “Where are you? We need an onboarding partner.” We found each other on the floor twenty minutes later, introductions were made, months passed, and Click Boarding became the first partner I signed to the new Symphony Talent. It wasn’t long before Christine was my guest on The Road to HR Tech and we co-hosted a webinar around the business case for employee engagement, beginning with the first no-brainer: a proper onboarding experience. I departed Symphony Talent as 2017 drew to a close, and I found myself in the lucky position of getting to talk to everyone I know and admire across this industry about the work to be done, the opportunity at hand, the value I might help drive. With each conversation, I replayed the same soundtrack over and over again: Stop making the software the work. Design solutions that allow HR to focus on people. I love full-circle moments, you guys. I could not be more thrilled to work for Christine Marino and continue the talk track on a topic near and dear to my heart: EMPLOYEE ENGAGEMENT. We work so very hard to find, attract, court and hire top talent. Don’t drop the ball at the moment of truth, when highly-sought, hard-won TALENT becomes YOURS. TELL them you’re excited, DELIVER on the employee experience you promised with your employer brand and recruitment marketing and candidate experience, and GET THEM in the door quickly, more easily. Every minute you waste getting your new hire up to 100% productivity hits your bottom line, decreases employee engagement, and dulls your competitive edge. I called Click Boarding’s onboarding solution “the biggest no-brainer I’d ever seen” when I signed them as a partner. I take that back: Signing their offer letter is the biggest no-brainer I’ve ever seen. Q: What was Click Boarding’s inspiration to build an onboarding solution? A: We heard directly from HR practitioners that new hires were extremely dismayed – as a result of having to complete a confusing, laborious, difficult onboarding process. It became very clear to us that no one was properly addressing onboarding. No one was really looking at engaging the new hire to result in a positive onboarding experience. Q: What’s Click Boarding’s vision? A: For HR to recognize Click Boarding as their preferred onboarding solution, and for HR providers such as yourselves to recognize Click Boarding as the preferred onboarding partner. This can only be achieved if we deliver a great experience to HR, to new hires, and to our partners, which is how we’ve begun and how we intend to continue – deliver great experiences first and foremost. Q: What are HR’s top concerns? A: HR is under intense and increasing pressure to deliver a better experience to employees to help stop sinking retention rates, deliver high scores on employee satisfaction surveys, and increase productivity without increasing costs, just to name a few. Q: What is HR doing to address their top concerns? 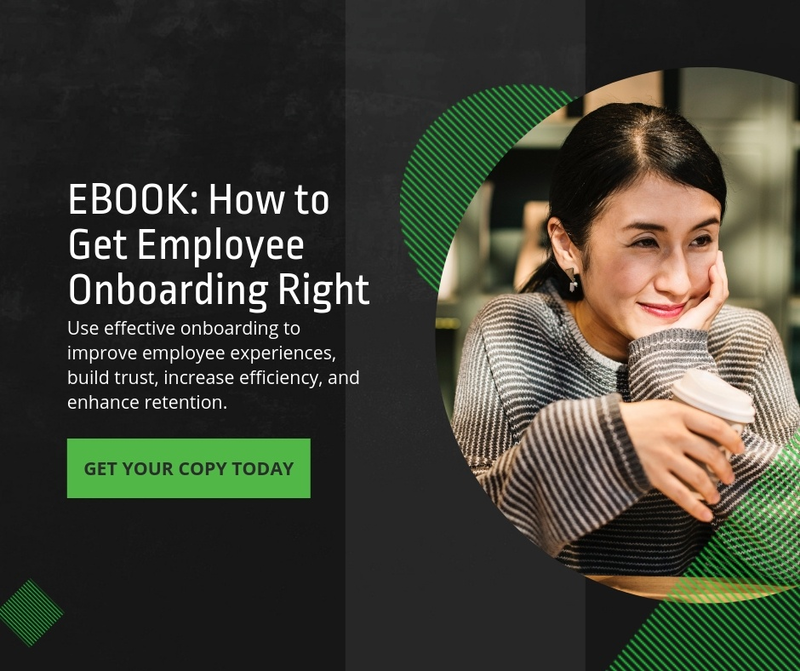 Specific to onboarding, industry research shows that organizations who’ve standardized their onboarding process and automated the related tasks, have found vast improvements in employee retention rates and new hire productivity. Q: Is HR ready to embrace onboarding, delivered as a software solution? A: HR is realizing that the automation of processes and tasks is allowing them to be more efficient, and more engaged with the new hires, not less, as what was previously feared by some. HR has also found that electronic forms and content can be delivered safely – given they use a secure solution – and new hires are thrilled to consume content and complete forms when and where it’s convenient for them. Q: What should HR be considering when evaluating an onboarding solution provider? HR should demand a self-service onboarding solution they don’t need to worry about or fuss with – one that doesn’t require ‘set-up and implementation’ as HR has experienced from software providers in the past. One that can play well with your other HR software systems as needed. One that HR believes has an intuitive user interface that would be easiest to use. HR should find a provider that treats its clients like partners. A provider that has onboarding and compliance experts at the ready to help HR achieve their goals. And like your new hires, make sure you like them! Q: We all know that content is king, and now it’s even taken a seat at the throne in the onboarding process. Can you explain? A: Onboarding must evolve to become a more engaging experience for the new hire. That means more personalized, branded, and dynamic content for the new hire to consume in the onboarding process. The new hire content creation objective should be one of engagement and socialization, with the goal to help get them up and running by day one, not after week one. To help get new hires feeling great about the brand, the company, the team. To retain them. More and more HR professionals are utilizing content production resources – from writers to designers – to help fulfill this dire need. Q: What does the future of onboarding hold? Bottom line, the one who delivers the easiest, most accessible, best new hire experience will win. Click Boarding will see you at the finish line. The following Dr. Seuss quotes remind me of how HR treats candidates, new hires, and employees. HR works hard to attract, recruit, and onboard talent, demonstrating to those newly recruited and hired, just how highly valued they are. Every new hire is different, and no one knows this better than HR. HR ensures that during the hiring and onboarding process, the new hire receives information specific to him/her and the new position. The more relevant the content is to the new hire, the more acclimated they can become even before their first day on the job, and be productive from the very start. “Today you are you! That is truer than true! There is no one alive who is you-er than you!” – Happy Birthday to You! “You’re off to Great Places! Today is your day! Your mountain is waiting, so… get on your way!” ― The Places You’ll Go! “You have brains in your head. You have feet in your shoes. You can steer yourself any direction you choose.”- Oh, the Places You’ll Go! HR strives to figure out and deliver an awesome experience for new hires and employees. When new hires have an easy onboarding experience, that increases the likelihood that they will not only like the brand and stay with the company longer, but increases the likelihood of becoming a brand advocate and long-term buyer. “Think left and think right and think low and think high. Oh, the thinks you can think up if only you try!”- Oh, the Thinks You Can Think! What will you be doing to honor Dr. Seuss on his birthday? I will be helping my daughter transform herself to the Dr. Seuss character Daisy-Head Mayzie – hopefully easier than last year’s Cindy Lou-Who.